Disclosure: We have been given annual passes for the centre for the purpose of blogging about our visits. Last weekend we spent a morning enjoying some time at one of the kids’ favourite places, the Birmingham Sea Life Centre, which is currently looking pretty festive for their Christmas event! You can visit Santa in his grotto (included in the standard ticket price) and enjoy a Christmas film in the 4D cinema. The girls really enjoyed the Christmas decorations around the centre, with Christmas trees at the entrance and fairy lights wrapped around the handrails making everything twinkle. Both Lydia and Georgie came armed with a toy penguin which, much to the delight of everyone watching, worked really well to encourage the Gentoo penguins to dive in the pool and swim over to play with them. 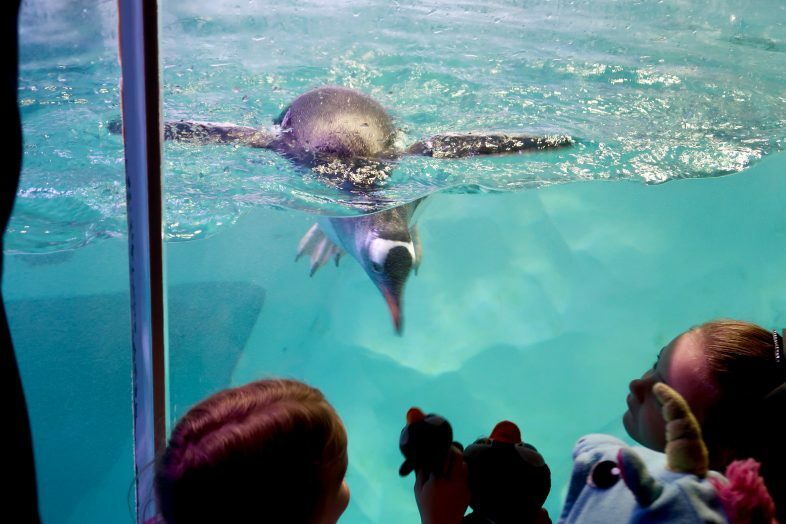 The girls love to interact with the penguins this way – waggling a black and white toy against the window really gets their attention, and they’ll happily follow it back and forth while the girls wave it around. We had to take a bit of a different route to normal around the centre as they are making some big changes with construction both inside and outside the building. The otters moved out some time ago, and that area is being redeveloped for some new additions in 2019. 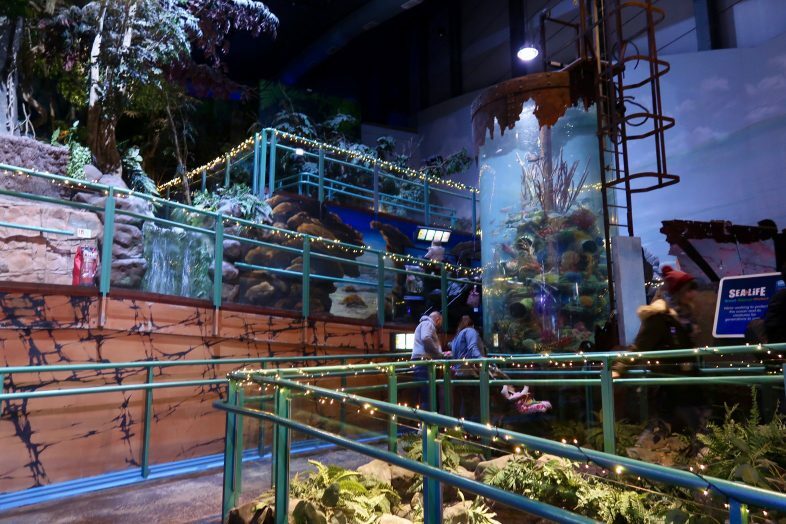 You can still get to the top floor to see the jellyfish and go to the 4D cinema, by going up a different way to normal – it is all signed clearly as you walk around. We always go to the 4D ciname when we visit Sea Life at Christmas – they have a special shortened version of The Polar Express with all the best bits of the film, complete with the smells of hot chocolate and Christmas trees filling the air, and water spraying your face as the train skids across the ice. 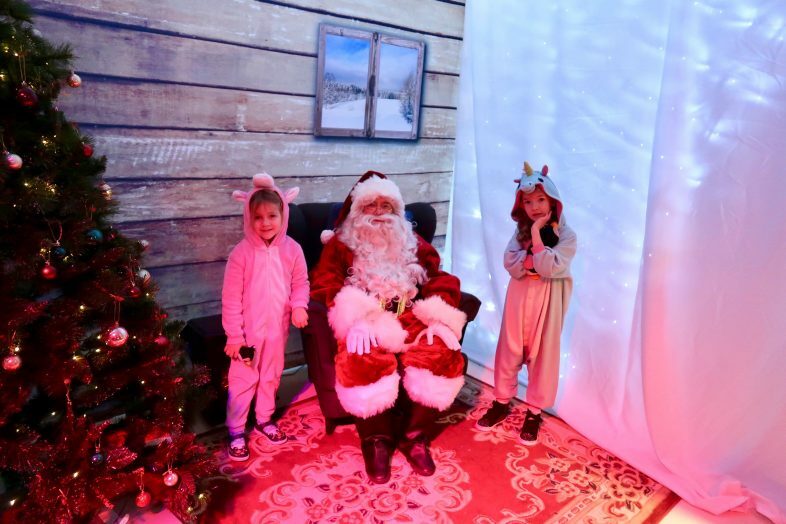 Once you’ve got down to the ocean tunnel area you can queue to see Santa in his grotto – this year they have set up a dedicated queue line area down the side corridor so the main corridor doesn’t get overcrowded and make it difficult for people to get past. Sea Life have got a pretty little grotto set up, with a very friendly Santa and his helpers. You can buy a photo taken with him, but they don’t mind if you take your own photos too. Each child gets a free gift from Santa – a small beanie type toy sea creature; the girls were delighted with theirs. 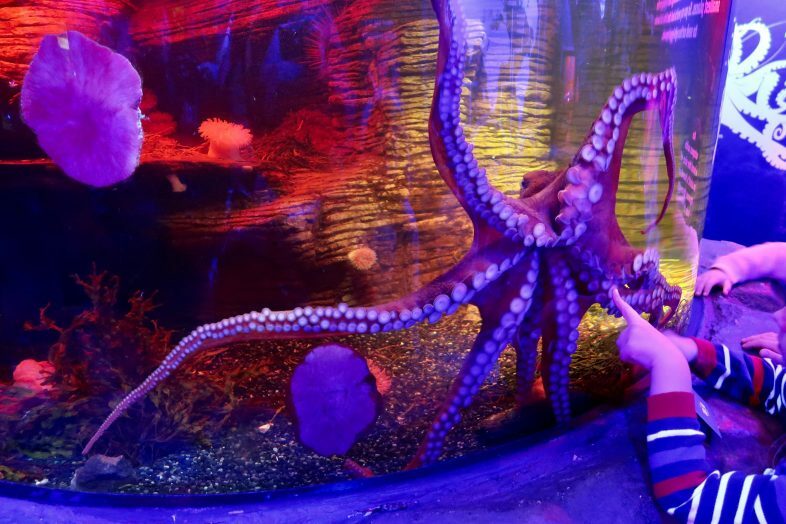 It’s a lovely time of year to visit the Sea Life Centre – it’s entirely indoors so you don’t have to worry about the weather, and even with the building works you get to see so many amazing different sea creatures – and see Santa without paying extra. Pre-booking is recommended – you can save money by buying your ticket online, and it also guarantees your entry. 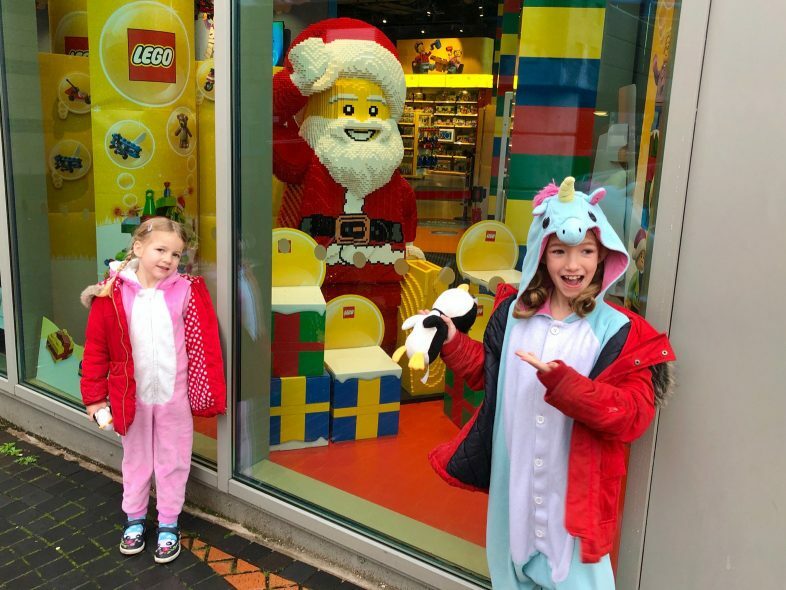 Santa is at the centre until 23rd December – and don’t forget Legoland Discovery Centre is just across the canal, complete with a big Lego Santa on display in the window.